KIDZ BOP 27- Todays biggest hits sung by kids! HomeKIDZ BOP 27- Todays biggest hits sung by kids! A few weeks ago, Lydia saw a commercial on TV for KIDZ BOP. KIDZ BOP records kid-friendly versions of today’s biggest pop music hits. The KIDZ BOP Kids sing on the KIDZ BOP albums. For four consecutive years (2010 – 2013), Billboard magazine has named the KIDZ BOP Kids the “#1 Kids’ Artists” in the U.S. The KIDZ BOP kids perform more than 25 live shows a year! How neat is that? They release two major albums a year and they also release a themed album in the spring, plus Halloween and Christmas albums. The newest album is KIDZ BOP 27. Check it out! 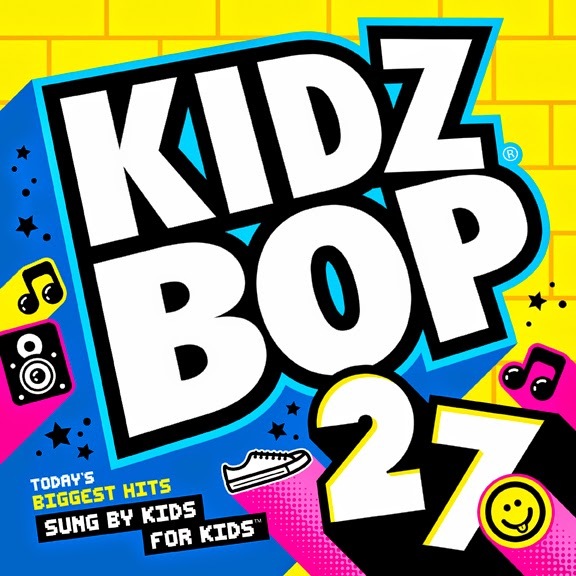 KIDZ BOP 27 has all of the latest songs! Check out the playlist here!! 1- Shake It Off, 2- All About That Bass, 3- Fancy, 4- Boom Clap, 5- Rude, 6- Problem, 7- Am I Wrong?, 8- Maps, 9- Really Don't Care, 10-Latch, 11- Break Free, 12-Cool Kids, 13- Shower, 14- Rather Be, 15- BONUS LIVE TRACK-Say Something. Lydia loves this CD. It has hits that she sings all the time. I am happy with it because the songs are completely kid friendly. She is happy with it because she can jam it out in her room. Check out a peek of one of the songs- All About That Bass below! If you wanna know where to buy it, you can find it at retailers near you. You can also find it at Amazon, iTunes, Google Play, the KIDZ BOP Shop! I have found it as low as $11.99. Visit them on their social media to stay up to date with the latest! Like this post? Feel free to hover over an image and Pin to Pinterest or share via one of the buttons below.